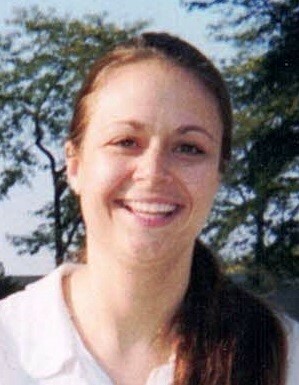 Michelle Halasz, age 44, of Toledo passed away Tuesday, April 2, 2019. Michelle was born to Thomas Halasz and Suzanne (Ferencz) December 28, 1974 in Toledo, Ohio. Michelle was very intelligent and kind. She loved music and animals but most of all her family and friends. Michelle had many friends; she was funny, understanding, honest and had a heart of gold. Her laughter could brighten the darkest of days. She will be missed dearly and never forgotten. Michelle is survived by her daughters, Monica (Hussein Khatoun) Halasz, Katie Bails, and Hailey; son, Corey; grandsons, Mahdi Khatoun and Ali Khatoun with another grandson due in September; parents, Suzanne (Joe) Moore and Thomas (Marcia) Halasz; sisters, Maggie (Martin Clark) Fox, Mandy (Nick) Blair and Heather (Frank) Salazar; grandparents, Julie and Robert Ferencz, nieces, Calli Fox, Chloe Fox, Kaitlyn Blair, Brooke Salazar, Brielle Salazar; and nephews, Wyatt Blair and Henry Blair. She was preceded in death by her grandparents, John and Margaret Halasz and great-grandparents, Stephen and Anna Leszkai. Family and friends may visit the Freck Funeral Chapel, 1155 S. Wynn Rd in Oregon on Sunday, April 7, 2019 from 3-8 p.m. Funeral services will be held on Monday at 11 a.m. in the funeral home. Burial will follow in St. Ignatius Cemetery.